Planning a trip to Europe can be intimidating at first. When I started traveling internationally there were so many things to do and so many ways to get there. It took a significant amount of research as well as trial and error, but I have a short list of the thriftiest tools for European travel. These are the tools Mrs. TT and I use on every trip. 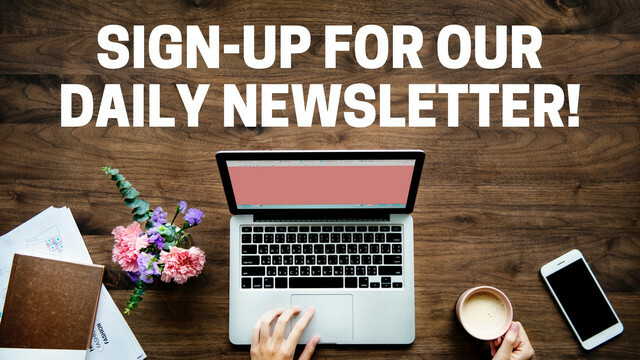 Obviously you should be following our daily flights deals! To find flight deals I use Google Flights. It is the easiest way to look for cheap fares because you can select the calendar view and see the daily fare rates. Also utilize the map view to see possible lower fares nearby your destination. Before booking I always compare to Kayak, Orbitz, or Priceline as well. If you are looking for flights around Europe you should look at discount carriers Ryanair or easyJet, which don’t come up in the Google Flights results. Always make sure to compare the cost of flights vs. trains before booking. Don’t forget to read How to Book The Cheapest Flight Possible! Thrifty Tip #1: Utilize Airfarewatchdog and setup fare alerts for different city destinations. Airfarewatchdog will send you daily alerts for flight deals to your selected destinations. 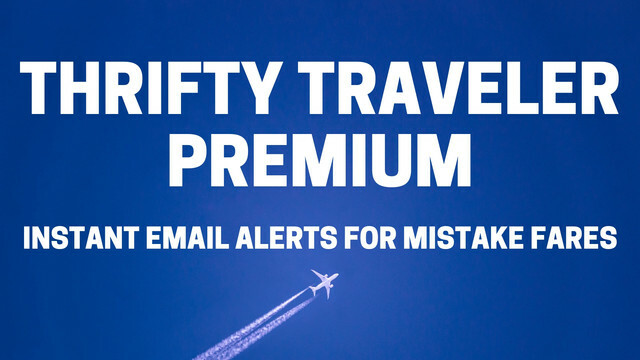 Thrifty Tip #2: You can cancel flights, at no cost, within 24 hours of booking by Federal law. If you book and find a cheaper deal within 24 hours make sure to cancel and rebook at a cheaper price! We always book our trains through Rail Europe. It is simple and easy to price out any trip. If you’ve never tried high speed rail you’re missing out. You just walk to the train station, which is usually in the center of the city, and just get on the train and go. It’s fast, efficient, and can be cheaper than flying. I’ll gladly pay a little extra to ride the train than trek out to the airport. We always rent through Europcar, but there are lots of other choices. If you have more than two people and like the freedom of a vehicle, it may make sense to rent a car. I always have a tough time deciding which is cheaper – car, train or plane. Make sure to crunch the numbers, including gas, to determine which is the most cost efficient. Also make sure you can drive a manual transmission as almost all European rentals are stick shift! Thrifty Tip #3: Always drop the car off in the same country you rented it in. If you drop it off in another country it has to be shipped back which can cost big money. Thrifty Tip #4: Make sure to get an “International Driving Permit” from AAA. It is required in some countries and for $15 it’s cheap and gives you good peace of mind that you won’t have any issues. Just go into your nearest AAA with the application, get your picture taken and you’re out the door. Thrifty Tip #5: If you are a Delta SkyMile Member (you should be) you can get a 10% discount off your Europcar rental. We always try to stay on points earned through credit card bonuses, but if that is not an option you should check out Orbitz or Priceline. Airbnb is also a great option! Always make sure to check ratings on Tripadvisor before booking. 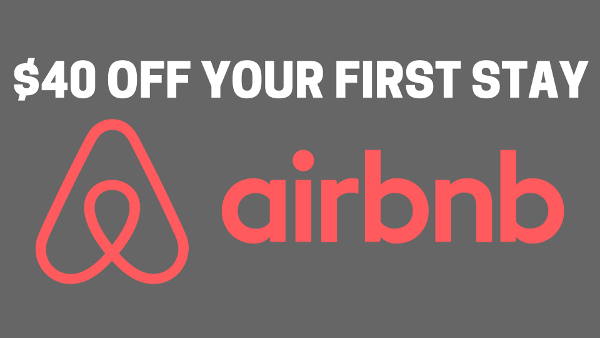 If you haven’t signed up for Airbnb yet, use our link and you’ll get $20 off your first booking! Thrifty Tip #6: If you are paying for a flight or hotel consider getting the Barclays Arrival card before booking. It gives you $400 in travel credits. It is always one of the top credit cards I recommend for travelers. Try to ask friends and family for recommendations but if not we always rely on Yelp or Tripadvisor. Again friends and family are a great resource, but we typically fall back on Tripadvisor for ideas. Consider walking tours of cities, they are usually very reasonable and you can get great info on restaurants and other things to do. Google Maps has saved me more times than I can count. Use either the desktop or mobile app. If you have T-Mobile (I only pay $33/month) you will have free international data so the Google Maps app works great everywhere. We always use Google Maps to figure out the subway or tram schedules in any city we go to and use it for walking as well driving directions. International data on a typical Verizon (except TravelPass) or AT&T plan is not cheap. T-Mobile has free international data and wi-fi calling, which is why I switched to T-Mobile in 2014. If you need data on your phone or cellular iPad I recommend purchasing a data SIM card on eBay before your trip. It is important to note that you will usually need a different SIM card in every country. If you are flying into Heathrow on a trip to London you will see prominent vending machines with SIM cards. I’ve never seen this in any other country. You just put in 15 or 20 GBP and it spits out a SIM card. It’s slick but only works in the UK. Thrifty Tip #8: If you use Verizon make sure to sign up for the Verizon TravelPass to get reduced rates when abroad! Thrifty Tip #9: Purchase country specific SIM cards ahead of time on eBay to ensure you have data wherever you go. If you are going to the UK they are available at the airport. Most Europeans speak English. If you run into issues I usually try to use the free Google Translate app but if you don’t have Wi-Fi you’re out of luck. There are many apps that work offline for sale in Apple or Android app stores. Just type any currency into google and it will convert it (1 euro to usd). Also, when traveling make sure you have a credit card with no foreign transaction fees! Also, when paying with a credit card in Europe always pay in the local currency. You may be asked to pay in USD but you will lose in the conversion. ALWAYS PAY IN THE LOCAL CURRENCY! Never Pay ATM Fees again! There are so many weather websites/apps to choose from but over the last 15 years, Wunderground has always been my go to for both the desktop as well as the mobile app. The site includes historical data which is great for planning what the average temperature will be on your future trip. Wikipedia has historical temperature info as well. Just search the Wikipedia entry for your destination and you’ll typically find climate info. I always try to plan trips during the driest/sunniest times of the year.